These symptoms often improve with saline nasal irrigation — rinsing out the sinuses with a salt and water solution. The most popular way to do this is using a basic neti pot or nasal squeeze bottle to flush out the thickened mucus and irritants from the nose. Neti pots can be purchased at nearly any corner drugstore. Make sure you use water that’s sterile, distilled or filtered water that’s been filtered with an absolute pore size of 1 micro or smaller. Prepare the saline solution (these can come in packets along with the neti pot). After rinsing make sure you clean the device and allow it to properly dry. Allergy symptoms that are caused by household dust mites or pet dander can only really be reduced by lowering exposure to these allergens. By washing bedding more regularly, maintaining a lower humidity level and using more hypoallergenic materials (such as tile and wood instead of carpet) you dramatically can lower your exposure. Additionally, using proper and frequently changed filters for your HVAC system and using high-efficiency particulate air (HEPA) filters for your vacuum cleaner are other ways you to lower exposure. Most of the time, mold is found where there are damp areas. In Tucson, mold is a little more specific because of how hot and dry it is here. If you suffer from mold allergies, the best approach is to begin by removing as much of the damp moisture out of the areas where mold lives, such as bathrooms and kitchens. Many homes in Tucson have opted to use a swamp cooling system, which will increase moisture in the entire home. Mold sufferers should consider switching to a standard AC system, which can even utilize more modern hypoallergenic filtering you simply won’t get from an evaporative cooler. 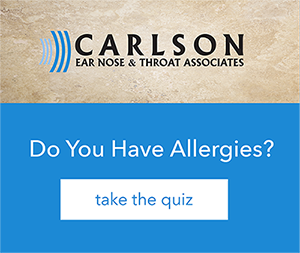 If you suspect that your allergies are more than just annoyances and you want to learn how to live without suffering from allergies, then we invite you to give us a call today. We’ll help determine exactly what is causing your symptoms and work with you to eliminate those allergy symptoms!